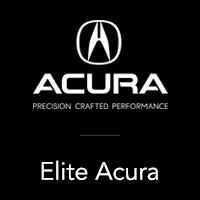 At Elite Acura, we’re always happy to provide assistance and resources to drivers in Maple Shade, Moorestown, and Cherry Hill with every aspect of the car buying and owning experience. While we have some helpful reviews, comparisons, and maintenance guides, we aim to provide more in-depth information to drivers by offering eBooks! These informative and detailed eBooks cover a wide range of topics that may be relevant to you and your current situation. As you can see, our eBooks have numerous focuses. Whether you’re looking to learn more about a specific Acura model with a Buyer’s Guide, or you’re trying to determine the right course of action through Leasing vs. Buying, you’ll be able to learn some detailed information as well as some tips and tricks to help you get the most out of your experience. Each eBook contains a wealth of information that drivers like you can use to determine what type of car you want, as well as some tips for car owners to help them get more out of their vehicle. Once you’ve figured out which of our eBooks is relevant to your current situation, getting your copy is simple. Once you click on the eBook page, you’ll notice a form. All you have to do is fill out this form with some basic information about yourself. Once you submit the form, you’ll have the option to download it. From there, you’re ready to read your eBook and use the information you obtained from it to help you along on your journey. Whether you’re buying a new car, checking out used ones, or you’re looking to learn more about automotive maintenance, these eBooks are here to help answer some of your questions. Once you’re ready to take the next step, you can come see us at Elite Acura to get started on your journey. We’re always happy to provide drivers in Maple Shade, Moorestown, and Cherry Hill with informative resources, but we’re also here to help provide additional assistance for when you need it.